As the vibrant green grasses of spring dry to warm gold tones in the Bay Area, a nemesis to our dogs will appear in the grass: the foxtail. Mother Nature engineered these sturdy, bushy seed spikes that, appropriately enough, resemble foxes' tails to attach themselves securely to passing wildlife, helping them spread over the landscape. Nature's design employs the use of barbs that allow the foxtail to move in only one direction - ever forward. This can pose serious problems for dogs that pick up foxtails while sniffing around during walks and outdoor playtime. Dogs get foxtails in their noses, ears, eyes, mouths, and other orifices. 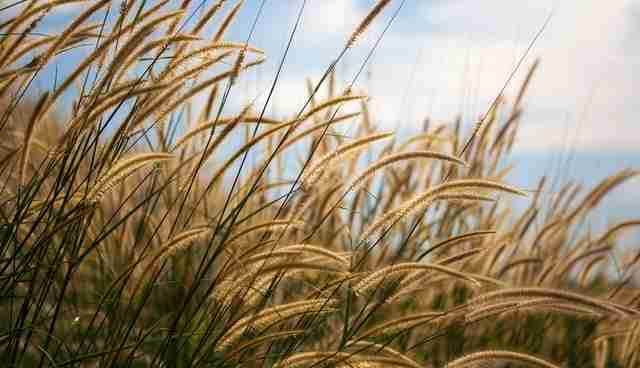 Foxtails can work their way into a dog's nostril or ear canal, just out of sight, in moments and without notice. While foxtails are fairly easy to pick out of the fur of shorthaired dogs, they can disappear into longer-haired dogs' fur, and they can also burrow through the dogs' skin without being noticed by humans. If not removed early, foxtails, along with the bacteria they carry, can form abscesses or migrate through the body, damaging tissue and causing infections. Once inside the body, a foxtail can be very difficult to locate and retrieve. 2. Use tweezers to remove accessible foxtails. 3. Call your veterinarian immediately for assistance with removing a foxtail that is deeply embedded, or if the area around it is red or swollen. Keep your pup safer by inspecting frequently and preventing foxtail contact as much as possible. And don't skip any veterinarian appointments! They can find foxtails in areas of your dog's ears you cannot examine. 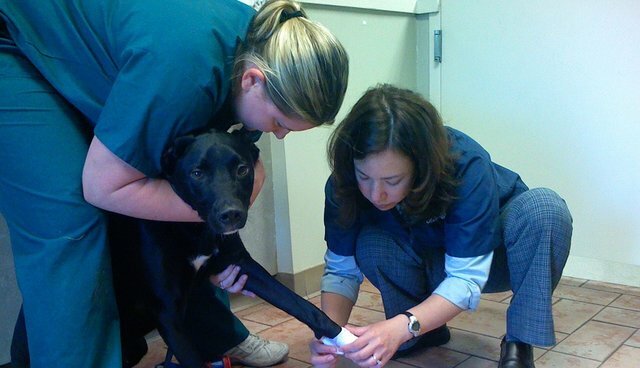 And if you need help making time to get your dog to the vet, contact a pet taxi service. For more pet care tips, check out Canine Companion and Concierge's blog posts.